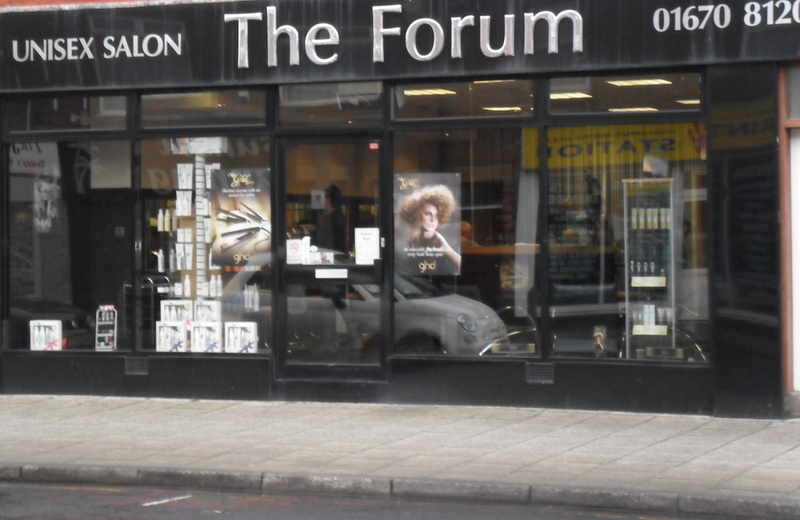 FOR 25 YEARS MY MUM HAD THE FORUM AND ESTABLISHED A GREAT BUSINESS THROUGH HER HARD WORK AND DEDICATION. AS OF THE 1ST NOV 2016 I TOOK OVER THE REIGNS WHEN MY MUM RETIRED AND I AM LOVING THE CHALLENGE. I STARTED IN HAIRDRESSING AT 13 YEARS OLD WORKING IN THE SALON EVERY WEEKEND UNTIL I LEFT SCHOOL AND THEN DID MY APPRENTICESHIP AT PAT TELFORDS IN MORPETH. AFTER WORKING IN MORPETH FOR 6 YEARS I DECIDED TO TRAVEL AND SPENT TIME ABROAD THEN EDINBURGH WHERE I WORKED IN JENNERS HAIRDRESSING FOR A NUMBER OF YEARS. UPON RETURNING TO THE NORTH EAST I WENT TO WORK BACK WITH MY MUM AND WORKED WITH HER UNTIL SHE RETIRED. HAIRDRESSING IS IN MY BLOOD AFTER BEING BROUGHT UP AS A CHILD SPENDING SO MUCH TIME IN THE SALON I KNEW THIS WAS WHAT I WANTED TO DO AS A CAREER. I LOVE THE BUZZ YOU GET WHEN YOU SEND SOMEONE OUT THE SALON KNOWING THAT THEY ARE HAPPY WITH WHAT YOU HAVE DONE. I HAVE BEEN SO LUCKY TO HAVE HAD AN AMAZING TEACHER IN MY MUM AND HOPEFULLY I CAN BE AS SUCESSFULL IN MY NEW VENTURE AS A SALON OWNER AS SHE WAS.